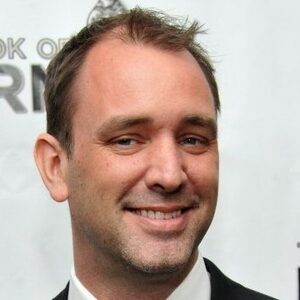 Trey Parker net worth: Trey Parker is an American writer, producer, director and actor who has a net worth of $500 million. 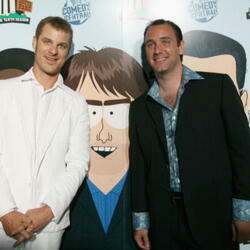 Trey Parker was born Randolph Severn Parker III. 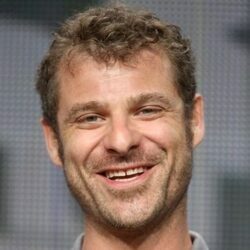 Trey, along with college buddy Matt Stone are the co-creators of the Comedy Central smash hit franchise property "South Park". Trey was born on October 19th 1969 and he grew up in Colorado with his parents Sharon and Randy Parker. He has one older sister named Shelley Parker. These names would go on to be the character names of Stan Marsh's family members on South Park. Parker attended the University of Colorado, Boulder. It was here where he met future best friend and co-writer Matt Stone. In 1992 the duo wrote and directed an animated short called "Jesus Vs Frosty" which featured the four principal characters from "South Park". They eventually created a follow up short called "Jesus Vs Santa". That short made its round around Hollywood and earned the two a meeting with Comedy Central. Comedy Central picked them up for a 13 episode season in 1997. The show is still going strong today. Parker was married in 2006 to Japanese socialite Emma Sugiyama. The two married in Hawaii. 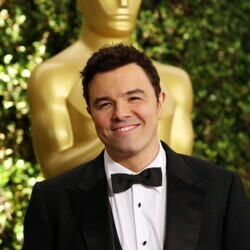 In addition to South Park, Parker has also starred or directed in Cannibal the Musical, Orgazmo, and BASEKETball. Outside of film, Matt and Try co-created the smash hit Broadway musical Book of Morman which is currently traveling the world. To date, Book of Morman has grossed over $500 million worldwide from ticket sales, merchandise and more. Trey Parker was married to Emma Sugiyama from 2006 to 2008. He married Boogie Tillmon in 2014. They have a daughter together who was born in 2013. In 2019 Trey and Boogie announced their divorce.